Our mission is to investigate and solve medical script dilemmas for patients at Bertrand Chaffee Hospital. No patient will get past us without paperwork. Periods of intensity – a full waiting room, phones ringing non-stop, and patients streaming in – are punctuated by an occasional lull. And each registration visit is completely different. On a busy day, the team might register 160 people – and there are many busy days. Countless more patients and community members come in with questions and information requests. 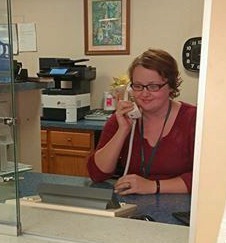 “There’s no such thing as a typical day here,” said Maryann Vanderkarr, registration department manager. 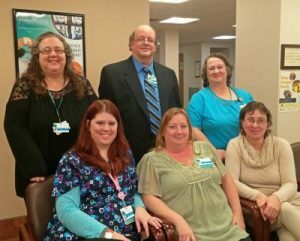 Vanderkarr heads a 10-person team that registers patients for lab work, imaging tests, emergency care, inpatient stays and surgical procedures. She has been with BCH for about four years, two of them as a manager.